Hi Guys. After completing my halftrack using the earlier version, smaller and bound, I decided to do something different. One, I made the manual larger to fit 8.5 X 11 inch paper. Second, I had it made to fit in a 3 ring binder so it can lay flat. I did a small run of 10 manuals that are for sale. some are already spoken for. 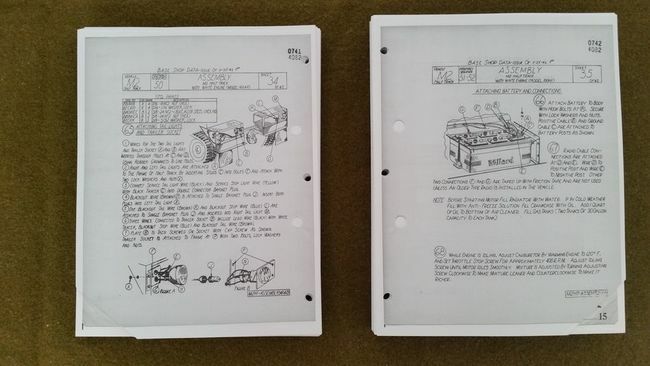 Also available as a special bonus is a halftrack parts book issued by White Motor Company, not the military. Sorry for the rotated images. Facebook won't load them correctly. This does not cover any armor and is good for all White, Autocar and Diamond-T halftracks. It primarily covers all drive train components, electrical components and gauges. If you purchase both books the cost is $120.00 and $15.00 for shipping. Email me at htmotorpool@gmail.com to place your order. Five manual sets sold. I have five left. Get yours before they are gone. Mine came in yesterday. Looks great, thanks Steve. I have two book sets left. Get yours before I run out. You can never have too much reference material. 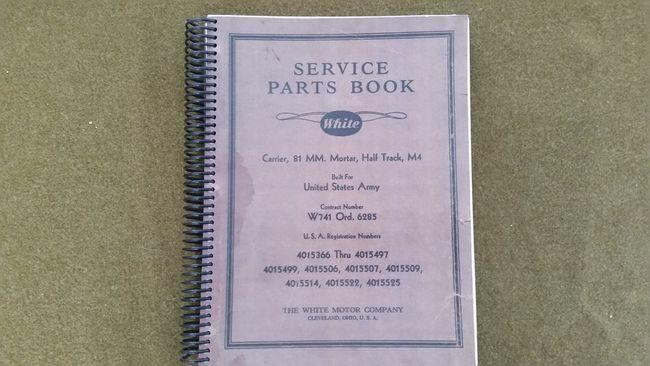 I have another batch of manuals in. Let me know if you want one. Do you still have some left? I have some left but have been stuck in a hotel due to a bad snow storm. Give me a week or so then I can get you taken care of. I have three sets left in stock. Thanks for the reply, just let me know when you get the chance, no hurry. Ok guys, I have 3 sets left. Get them while I still have them. Ok guys, I have one set of books left. 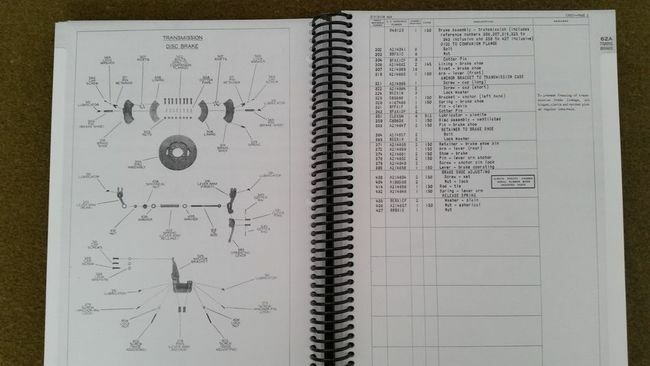 I will not be reprinting the parts book again. 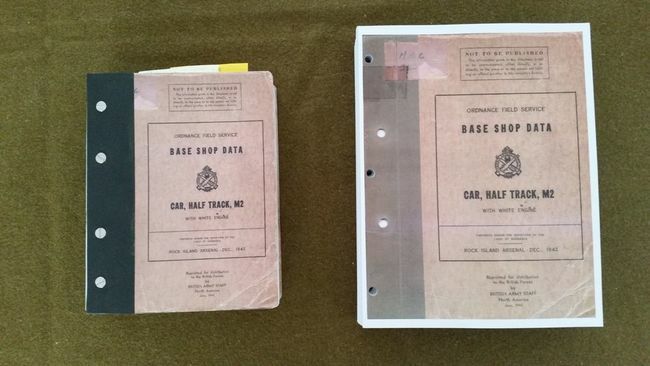 I will continue with the Halftrack Data Book as needed. Thank you to all who have purchased them. I have sold nearly 150 or so to date. I would love to hear how you guys like it. Again thanks.